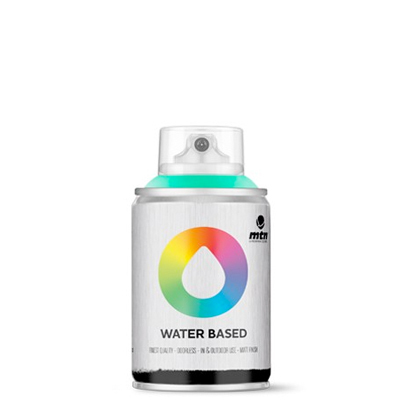 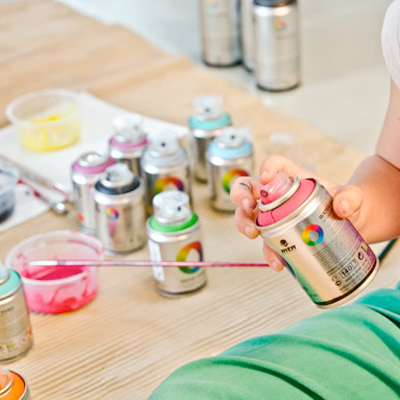 The new format of Montana Colors MTN's outstanding artistic and eco friendly Water Based Spray Paint. 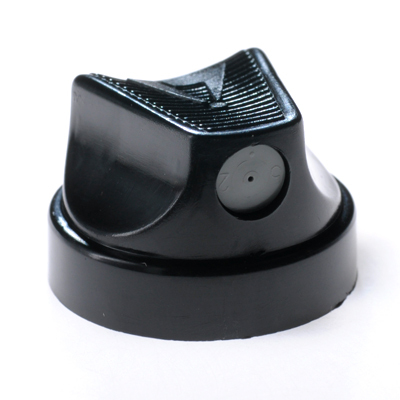 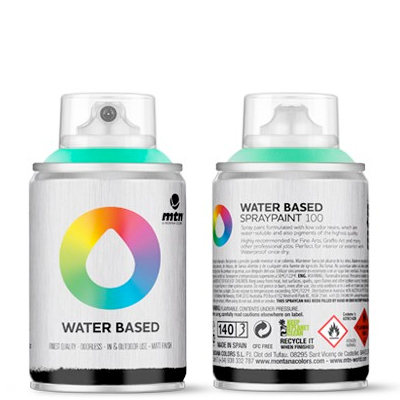 The same excellent quality and performance as the Water Based 300 spray cans, but with a 100 ml capacity. 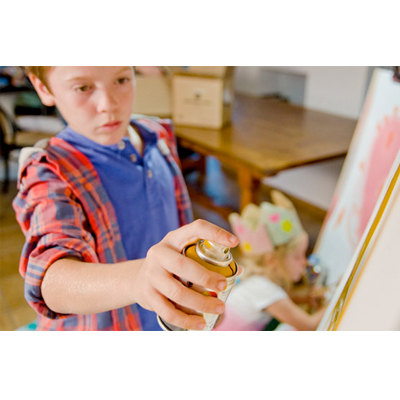 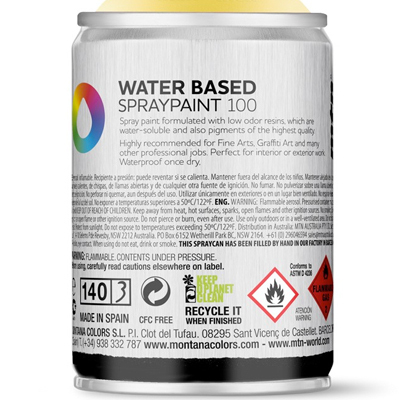 The Water Based 100 spray can is more manageable aerosol product that makes it possible to be used in activities and workshops involving children. 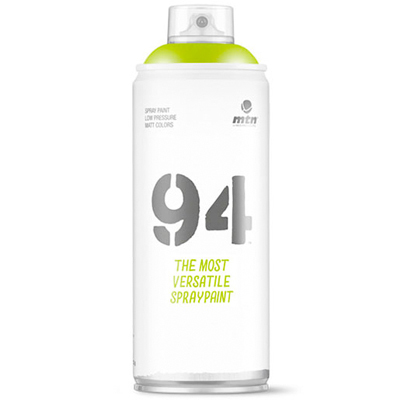 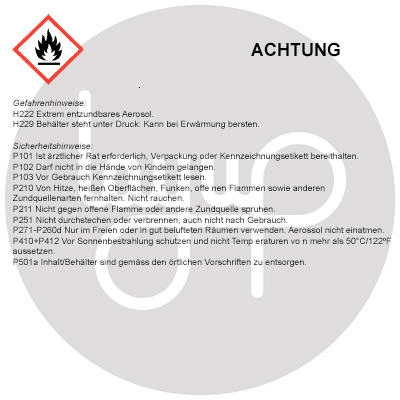 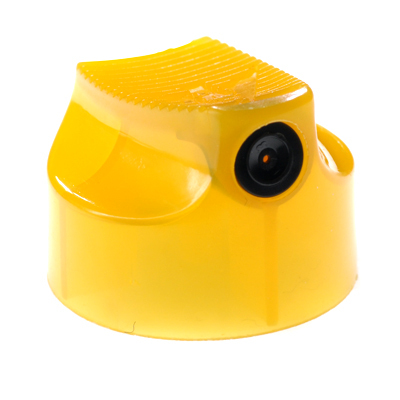 - Ergonomic and Children friendly format 100 ml. 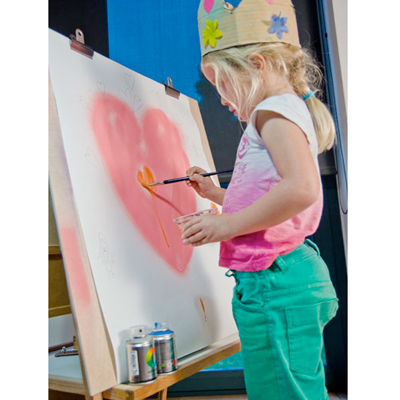 Available in silver and gold chrome and 16 solid colors: durable matte colors, featuring great resistance and opacity for all types of applications. 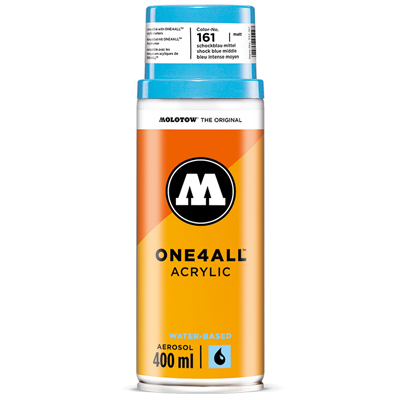 100ml, matt paint, Made in Spain.